When you work out, you break down muscle fibers. As your body recovers, your muscles repair the fibers and become stronger. In order to help your muscles recover quickly, you may want to use supplements, like protein powder and sports drinks, that can help your body work more efficiently. Soy protein comes from the soy plant, and it can be found in a variety of forms, from soy milk to silken tofu. You can eat tofu or another food made from soy, or you can mix products like soy milk or yogurt into a recovery smoothie. Soy is an excellent source of lean proteins, which your muscles need to rebuild. 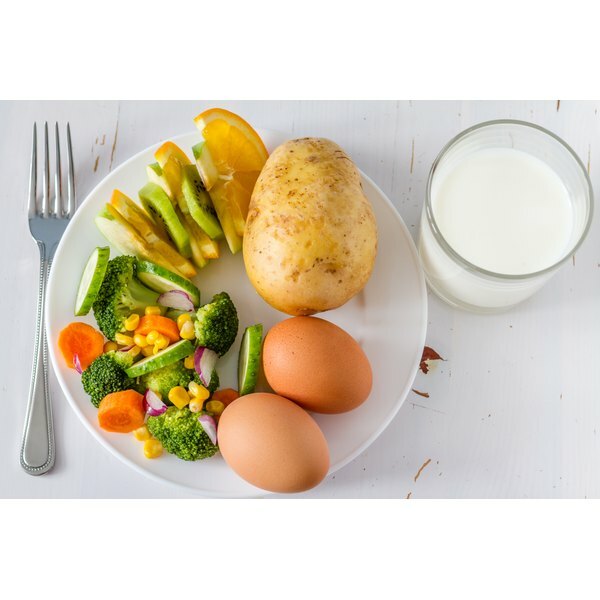 This protein is broken down by your digestive system into its component individual amino acids, which your body can then use to rebuild and repair all your different cells -- including those in your muscles. Whey protein, manufactured from the whey left over when cow’s milk is made into cheese, is sold as a powdered supplement which can be mixed into drinks and smoothies. According to the Mayo Clinic, this protein is easily digestible, and can also act as an appetite suppressant, helping build muscle and reduce body fat at the same time. The high concentrations of protein found in whey powder offer the essential amino acids your muscles need to recover. Creatine is an amino acid which is available in powder, liquid, capsule and other forms. According to the University of Maryland Medical Center, creatine can be effective in helping your body recover and build muscle after exercise, particularly after a strength-focused workout. However, creatine can occasionally have potentially harmful side effects, including weight gain, kidney damage and high blood pressure, so use it with caution, under the supervision of your doctor. Electrolytes are minerals which are capable of conducting electricity in your body -- a function necessary for your muscles to work and recover correctly. Some essential electrolytes include sodium, potassium, magnesium and calcium. You lose electrolytes through intense sweating, which occurs during exercise. To help your muscles recover and prevent cramping, you need to replenish your body’s stores of these minerals by taking a multivitamin or by drinking a sports drink designed to rehydrate and supply electrolytes.